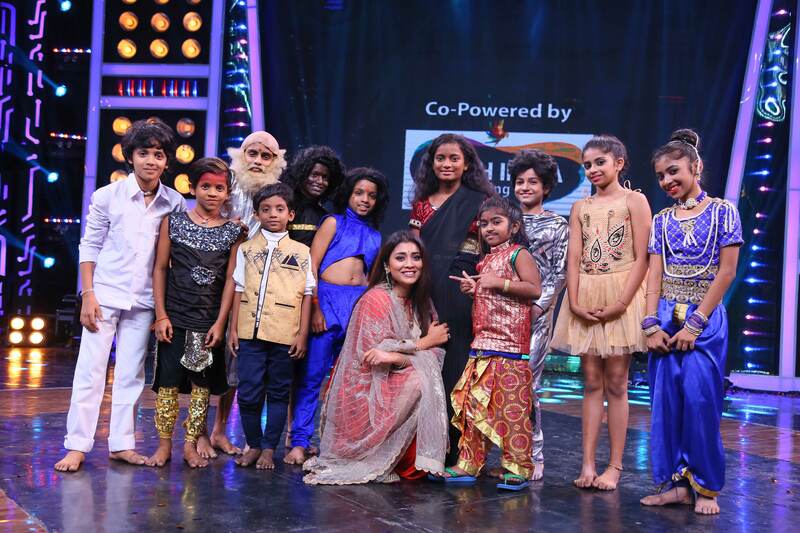 With one celebrity joining the judging panel as the 'Super Judge', Aata Juniors has had Tamanna Bhatia, Rashmika Mandanna and Anjali grace the show over the first three weekends. This coming Saturday and Sunday, the show will have South India's leading actor, the stunning Shriya Saran as the celebrity judge on the show. Aata juniors started off with a bang with its first week's rating beating the competition and standing as a slot leader in U+R market. The kids on the show have been delivering some amazing performances week after week and along with the Super Dancers, the contestants are driving great traction to the show. Anchor Ravi is hosting the show and Laskhmi Manchu and Nataraj Master are acting as the judges on the show.